What Is A Rangefinder & Why Are They Useful? When you hear of someone using a rangefinder, it isn't a term that many individuals are familiar with. A rangefinder is a device, or piece of equipment, that is able to measure the distance between an object and the observer who is looking at the object. The rangefinders that are available today are so compact, accurate, and they are incredibly affordable and whether the hunter is using a bow or a rifle they shouldn't be without one of these rangefinders. 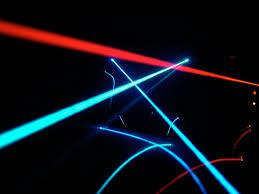 All you have to do is to simply press a button on a rangefinder, and the laser beam will bounce off of the object. It has an internal clock on it that lets you know of the measurement of the time it takes the laser beam to reach the target and then back to the rangefinder. It calculates the total measurements of the distance and the time. In less than a second, you will be able to read the displayed yards and meters on the internal LCD. Depending on the target, and the weapon that you are using, the maximum effective ranges can vary. There are several models that have a specific feature that gives you the true horizontal distance, however, each company that manufactures these rangefinders have different names for this feature. When it comes to the accurate ranging of this device, it is critical for bow hunters. If the bow hunter is in a tree stand, an extreme degree of an incline or a decline can end up having an incredibly significant impact since the complete distance to your target is incredibly less than on the level ground. This causes the impact of your arrow to be less due to the way the gravity pulls it. Magnification on a rangefinder is critical as well, since you are trying to aim at your target and receive the best results from it, you will need to be able to pull that image, of your target, closer to you so you are able to properly aim. One of the most beneficial features that a rangefinder comes equipped with, is that the lenses are coated with a special chemical that is applied directly to the lens. This is able to reduce the glare of light on the lens, and to maximize and boost the amount of light that is transmitted to your eye through the lens. If you are desiring for a better amount of brightness, and you are willing to pay a higher price for it, you can purchase one that has more and better coatings. If you are looking for a better brightness, it is important to be aware of the fact that a bigger lens means a much brighter unit, however, this bigger lens will mean more bulk and weight which will make it heavier. The rangefinders that are available on the market, are not going to run at a cheap price. When you are wanting a piece of equipment that is able to get the job done that you need when it comes to hunting, then you will need to expect to pay a steeper price for one. When you are looking to find a basic rangefinder, expect to pay about $150 and up to $800. There are many that can be found under the price of $400 for a decent rangefinder, and less than $250. These pieces of equipment are made with the highest quality of materials and provide the results that any hunter is looking for, therefore, the price may be high but it is worth it to achieve the best and the most accurate results. Rangefinders are very useful, and many individuals would ask why that is. For starters, when you are using cameras, rifles, bows, and many other devices, it is always easier to not have to carry around so many heavy items that come along with these devices. There are so many devices, as well as other pieces of equipment, that are very heavy to lug around or carry. Having a rangefinder is incredibly beneficial to an individuals, since they are incredibly light to haul around. In conclusion, there are many beneficial aspects of the rangefinders that make them the best. These rangefinders are made to make sure that you are able to capture and locate a the specific object that you are targeting. They are a very useful item to possess if you are a hunter, and they are definitely able to get the job done for anyone who uses them. You can find these rangefinders in a variety of styles depending on the amount of quality that you want out of this device. The prices vary according to the quality of work and the features that are added into the rangefinder. They are very beneficial items to have when someone is target practicing, or hunting, to be able to hit the desired target.